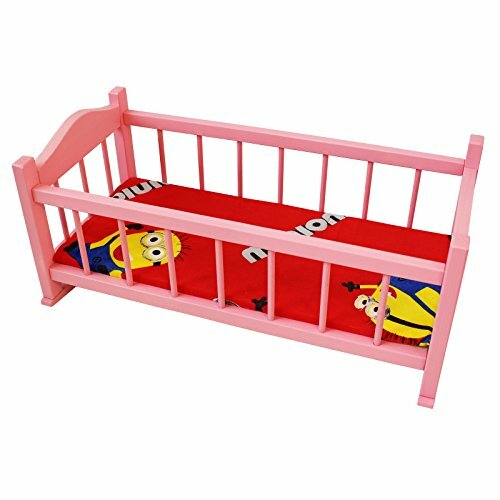 Obique Children's Wooden Toy Pink Pine Rocking Bed with Mattress for 18-Inch Dolls, with MattressThis beautiful Children's Wooden Toy Pink Pine Rocking Bed comes complete with mattress. Ideal for dolls up to 20"" (inches) or 50 cm in length or height. 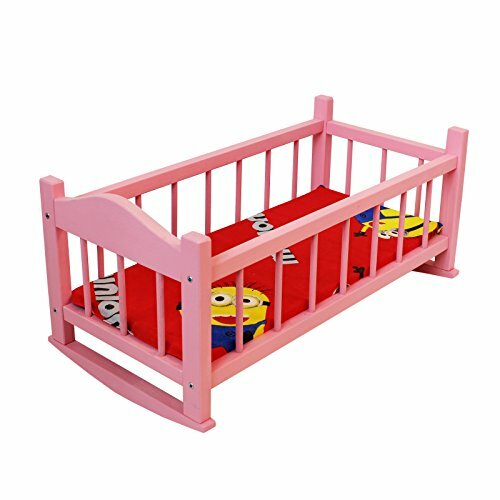 The rocking bed is supplied flat pack with assembly instructions and is easily assembled.This beautifully crafted Children's Wooden Toy Pine Rocking Bed For Dolls will be a treasured possession for any child and will be passed down through generations. 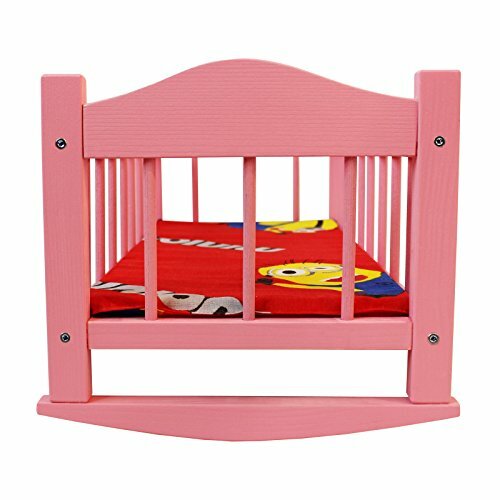 Over 500 sold online - a very popular rocking bed for dolls.See also our full range of toy furniture for dolls. To view the other items please type Obique Doll Furniture in the search-box.Made in the EU to the highest quality standards from natural wood, and where appropriate varnished or painted with child-safe, water-based varnish or paint. 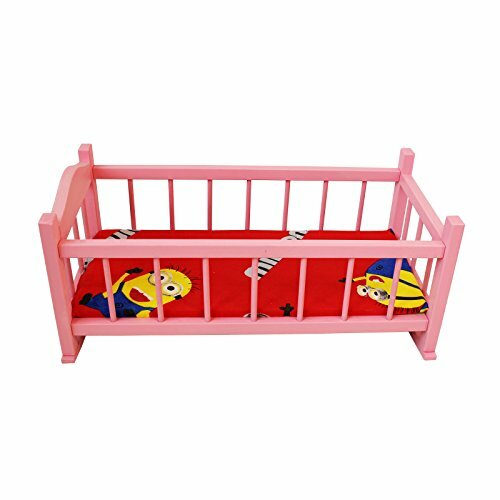 This product is entirely child safe in regard to the materials and design of the product. 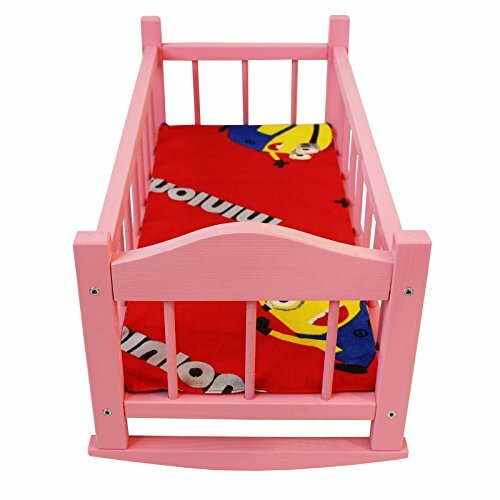 Suitable for children 18 months and older.